What does it mean to say psychotic experiences are symptoms of an illness? I have been reading the report by the Division of Clinical Psychology Understanding psychosis and schizophrenia. 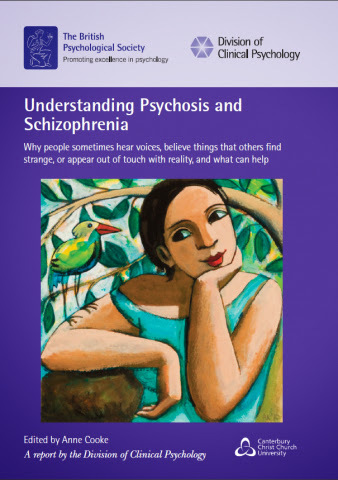 The report states that calling experiences, such as hearing voices and feeling paranoid, symptoms of mental illness is "only one way of thinking about them, with advantages and disadvantages" (p. 6). It says that "not everyone agrees that there is an underlying illness" (p. 7). It goes on, "The idea that they [experiences such as hearing voices] are symptoms of illness, perhaps caused by some sort of chemical imbalance or other problem, is just one of the theories. There is no objective biological test such as a blood test or scan for diagnosing mental illness" (p. 17). 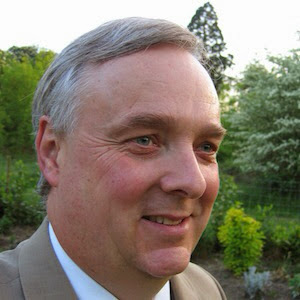 In the section on the advantages of seeing such experiences as mental illness, Laura Lee, one of the contributors to the report, is quoted as saying, "If the concept of illness was extended from biology to include our emotional/spiritual/thinking and meaning-making faculties we would have a holistic approach which would offer more" (p. 25). I agree with Laura (although may not make as much of the spiritual reference). I think the rest of the report could have been clearer on this point. There's nothing intrinsically wrong with using the term 'mental illness'. Although the terms illness and disease are used interchangeably, there are specific meanings. To quote from Eric Cassell in The Healer's Art, "Disease is something an organ has; illness is something a ... [person] has". The error is to think mental illness is a brain disease. I've just taken the Amen Clinic ADD type questionnaire. I didn't know that Daniel Amen had suggested there are 7 types of ADD: classic, inattentive, overfocused, temporal lobe, limbic, ring of fire and anxious; and that this matters for treatment. For today's special price of $77, I could have started healing my ADD, but I decided not to go ahead, despite the marketed attractive benefits of "improving attention and focus, boosting positive behaviour, and reclaiming my mental edge". A Washington Post article called Daniel Amen the most popular psychiatrist in America. 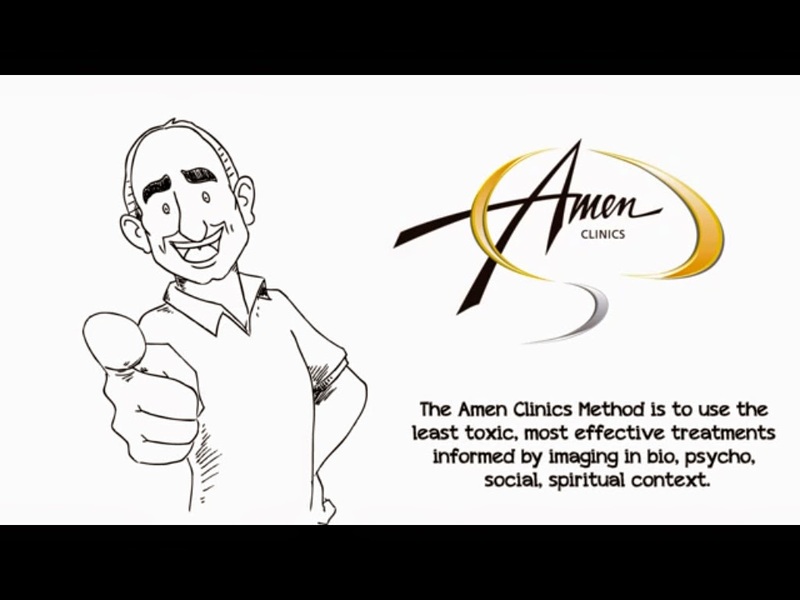 I doubt whether Amen likes critical psychiatry, which doesn't have that much of a following. I'm obviously not making enough outlandish claims (eg. see previous post). Amen recommends a SPECT brain scan as part of psychiatric assessment, when it isn't indicated. As the Washington Post article says, Amen's "claims are no more than myth and poppycock, buffaloing an unsuspecting public". In a Telegraph interview, he defends himself by saying, "If I'm defrauding them [patients] how would I stay in business for decades ... ?". The answer is that regulation of his practice is poor. As the Washington Post article, again, says "the man has grown fabulously wealthy — he lives in a $4.8 million mansion overlooking the Pacific Ocean — by selling patients a high-priced service that has little scientific validity, yet no regulatory body has made a move to stop him". It’s all too easy to assume that mental health problems — especially the more severe ones that attract diagnoses like bipolar disorder or schizophrenia — must be mystery biological illnesses, random and essentially unconnected to a person’s life. But when we start asking questions about this traditional disease-model way of thinking, those assumptions start to crumble. Amen and Pera may have taken the biomedical assumption to extreme, but it's still the same biomedical assumption. Trouble is that Peter and I are more likely to be seen as unorthodox than them. Following up my previous post about global mental health, I understand the motivation of #FundaMentalSDG to include mental health as one of the UN sustainable development goals post-2015 (see their blog post). I don't think we should look away from mentally ill people being neglected and abused, including being "tied to beds, kept in isolation in psychiatric institutions, being chained and caged in small cells, and being physically abused by ‘traditional’ healing practices" (see Guardian documentary). However, I worry about saying that mental illness affects 1 in 4 in the world, as though it is almost normal. And, by saying that mental illness is treatable, implying that the simple answer is psychotropic medication. Management of mental illness may not just be a problem in low and middle income countries. The madwoman in the attic in Jane Eyre may not be that much different from the practice of pasung in Indonesia (see ABC News item on documentary "Breaking the chains"). The commitment of the Indonesian government to eradicate the practice is to be welcomed. Further measures need to be taken to protect the human rights of the mentally ill worldwide. From a survey of mental health experts, Mark Micale has produced a list of the 12 most important changes in American psychiatry since World War II (see article). The ‘psychopharmacology revolution’ of the 1950s. 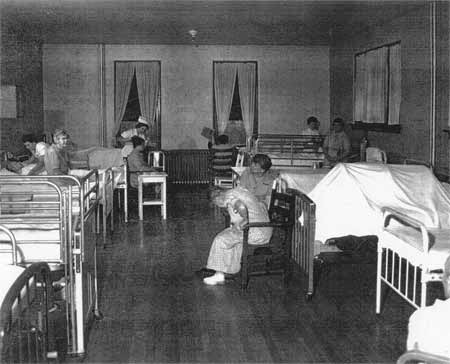 Deinstitutionalization, or the movement of massive numbers of psychiatric patients out of state asylums into community health care facilities. 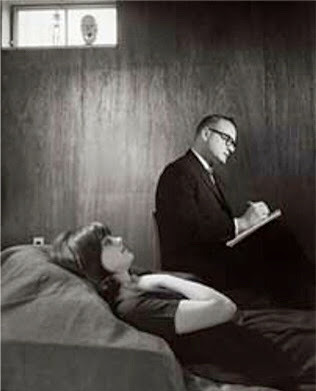 The ‘decline and fall’ of psychoanalysis. Shifts in the practice of psychotherapy from psychiatrists to non-medical professionals, especially clinical psychologists and clinical social workers. The rise of a vast scientific research programme, including massive institutional and financial resources, for studying the neurochemistry and neurobiology of mental illness. The introduction and widespread adoption since the 1980s of a new generation of antianxiety and anti-depressant compounds, especially the so-called SSRIs such as Prozac (fluoxetine). A steady increase in the influence of the pharmacology industry throughout the psychiatric profession (e.g. ‘big pharma’). The growth in influence of the Diagnostic and Statistical Manual of Mental Disorders. The multiplication of ‘new’ diagnoses. Heh, critical psychiatry, or even anti-psychiatry, isn't important! And, young people mention mental health blogging, which doesn't feature in the main list. So, perhaps I should go on with this blog. If I were to perform a lumbar puncture on my patients (which, new patients of mine will be pleased to hear, I don't) I would be able to demonstrate in the chemical analysis of the cerebrospinal-spinal fluid (the fluid around the brain and spine) a deficiency of two chemicals. Piffle! Cantopher doesn't just not do a lumbar puncture on his patients because it's an unpleasant investigation. It wouldn't show what he suggests. He might be 'struck off' by the GMC for doing an inappropriate investigation. Jowit rightly surmises that Cantopher means serotonin and noradrenaline as the 'two chemicals'. I presume Cantopher believes what he wrote but there are no references in the book, so it's difficult to know where he got the idea from. How does he get away with misleading journalists, let alone patients? Just to be clear, I'm not advocating mental health problems being dealt with separately in the NHS. Jowit does note that "some psychiatrists have been driven to an obsession with biology". Perhaps she needs to investigate further why the public is being misled about mental illness being a physical illness. As I keep reiterating, do not misunderstand me. Of course mental illness is due to the brain - that's mere tautology. But, to make the claim that Cantopher makes in the quote above is outlandish. Following my previous post, I just wanted to be clearer about why I am not advocating totally abandoning psychiatric diagnosis. My position may seem surprising as essentially I agree with the critics of psychiatric diagnosis. Biomedical diagnosis has failed in the sense that mental disorder is not due to brain abnormalities. Symptoms and signs in psychiatric assessment are about mental, not bodily functioning. Psychiatric diagnosis and biomedical assessment act as a means of avoiding the uncertainty and pain of people's life stories. Recently, the attitude of many psychiatrists towards the conventional type of classification has become one of ambivalence, if not of cynicism. This attitude derives partly from a low estimation of diagnosis, which in large areas of psychiatry has remained imprecise and has proved a poor guide to prognosis and therapy. Also, the concept of mental disorder, which in Kraepelin's view closely approximated that of physical disease, has changed in such a way that a conventional medical diagnosis no longer seems applicable. In many schools, especially in America, mental disorders are viewed as reactions of the personality to known or unknown pathogenic factors (Stengel, 1959). In other words, there was a time when psychiatrists were much more aware of the limitations and problems of psychiatric diagnosis. DSM-I used the term 'reaction' throughout the manual, influenced by the ideas of Meyer. For example, functional disorders were called "disorders of psychogenic origin or without clearly defined physical cause or structural change in the brain" and this included manic depressive and schizophrenic reactions. There was no pretence that mental disorder is due to brain abnormalities. Now that it is apparent that DSM-5 has failed (eg. see previous post), we need to undo each of the steps taken along the way. DSM-IV dropped the functional-organic distinction, which needs to be reinstated (see previous post). 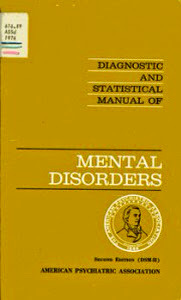 DSM-III encouraged a biological view of mental illness and introduced operational criteria, but did not improve diagnostic validity. DSM-II was not too different from DSM-I, but dropped the term 'reaction'. Conceptually the DSM process has been totally misguided, and we need to rethink and return to basic principles if there is ever going to be a DSM-6. Is community mental health care really worse in USA? Allen Francis asks "How do we create a compassionate, cost effective mental health system?" and Psychiatric Times collects some answers in a blog post. There seems to be general agreement that the US mental health system needs fixing. Francis explains that, "Sixty years ago, community psychiatry was the big new idea". He thinks, "The dream worked well in many countries, but turned into a bitter nightmare in the US". I'm not so sure that community care is the problem. Nor that the situation is much worse in the USA. Providing personalised mental health care worldwide is not easy and is not necessarily any better in the community than it was in the asylums. Cannabis use and cigarette use at age 16 were both associated, to a similar degree, with psychotic episodes at age 18 in a cohort study published in Psychological Medicine. 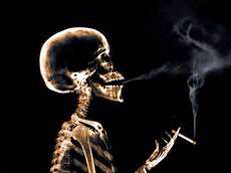 I report this because it is commonly assumed cannabis can cause psychosis, but as the authors of the article say, there is no evidence that tobacco has a causal effect in psychosis. Of course, cannabis intoxication can cause transient psychotic-like experiences, but what is less clear is whether cannabis can cause psychosis not related to intoxification effects. As I said in my BMJ letter, "Cannabis use is likely to be a proxy measure for poor premorbid adjustment associated with psychosis." I went on, "I am not saying that cannabis does not cause emotional problems; nor that people do not use it to deal with their emotional problems." The degree of correlation between the use of cannabis and cigarette smoking means it is difficult to disentangle independent effects. However, the likelihood is that cannabis use and cigarette smoking are both markers for socioeconomic and environmental factors associated with psychosis. It's illogical to interpret the association between cannabis and psychosis as causal, as it is to do the same for cigarette smoking.